Based on the wishes of the training group we develop several little projects to show the various features, best practise and techniques. We will use Xojo for desktop, web, console and iOS projects. The program below is just a guide line and depending on attendees wishes could be much different. 08:00 Registration Coffee, Tea & Croissants in the room. Date: 5th September 2018 in English. Cost: 499 € plus VAT. Android only, if a public Xojo version is available supporting this platform. In case we have less than 5 interest for each course or a trainer is unavailable, we may decide to join them. If course needs to be cancelled due to not reaching minimum number of people, we refund you and you can spend your day in Munich with sight seeing. 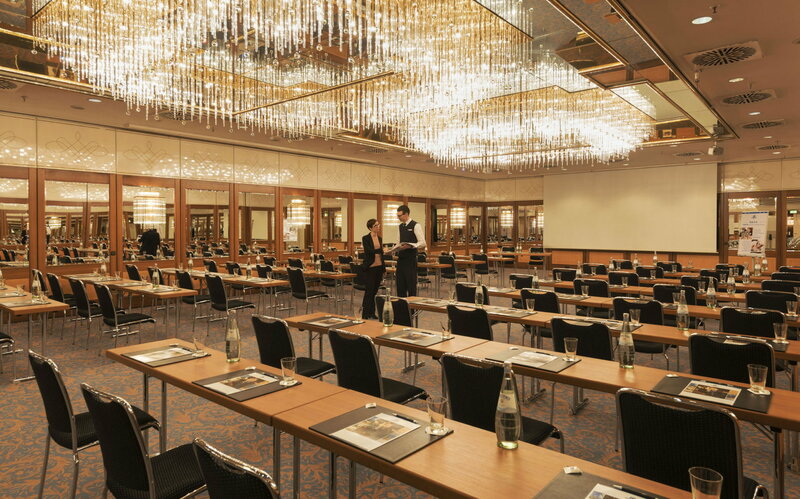 The 4 star Maritim Hotel München is a modern business and conference hotel that welcomes you with unique ambiance and modern facilities. For our event, we ordered free non alcoholic drinks, coffee breaks with little snacks and lunch as 3-course-menu or buffet. Free Wifi is included. For our conference we blocked rooms: single (122 €/night) or double bed room (170 €/night). This includes breakfast and pool access, and free cancelation up to two weeks before. You can reserve yourself on the hotel website with keyword "Xojo" or include your room wish in the conference registration. You can later adjust the booking if needed. Our blocked rooms are available till three months before the conference. Those prices include services charges and tax, breakfast and pool access. As rooms are limited, please include your room wish with your registration. Or contact the hotel directly: Book room here, reservierung.mun@maritim.de or info.mun@maritim.de or +49 (0) 6151 905-760. The hotel is located next to the main station in Munich and just a short walk away (100 meter). For our non European visitors (e.g. USA or Canada), we highly recommend to check the special offers from Bahn.de for you. For example within 30 days you can use a 3 day pass for just 188 Euro. You can start in Frankfurt/Main (most direct flights from there), take a direct train to Berlin, stay there for a visit, take another train to Munich, enjoy a few days there and take a final train back to the airport in Frankfurt. Of course you can stay in Frankfurt another night and enjoy visiting German's financial capital. Up to three months before 50%, one month before 25% and in September 2018 no more refunds. The hotel rooms need separate cancellation. The whole event can be cancelled without giving reasons 6 months before and you will receive a full refund. e.g. when the minimum number of attendees is not reached. In case the event has to be cancelled later, we may refund you partially.